Looking to cool off in the Yakima Valley with the family. How about the new aquatic center in Prosser, water playground in Yakima? NEW AQUATIC CENTER in Prosser consists of two pools: One with a standard competition length of 25-yards with 8 lanes for competitions, a dramatic new 27-foot long drop slide, plunging into 9-feet of water, removable float lines for open swim times, and water basketball and volleyball equipment. The second pool is designed specifically for recreational use. This pool will include a zero-depth “beach” entry where the concrete deck slopes gradually down into the water, making movement in and out of the water easy for all ages. Other amenities include a full size interactive play structure within the pool, a 100-foot long water slide and other play features. We have added the water. Now...bring on the fun!!! Franklin Pool, in Franklin Park, features a 112 foot water slide. There is also a snack shack which offers an inexpensive lunch combo package. 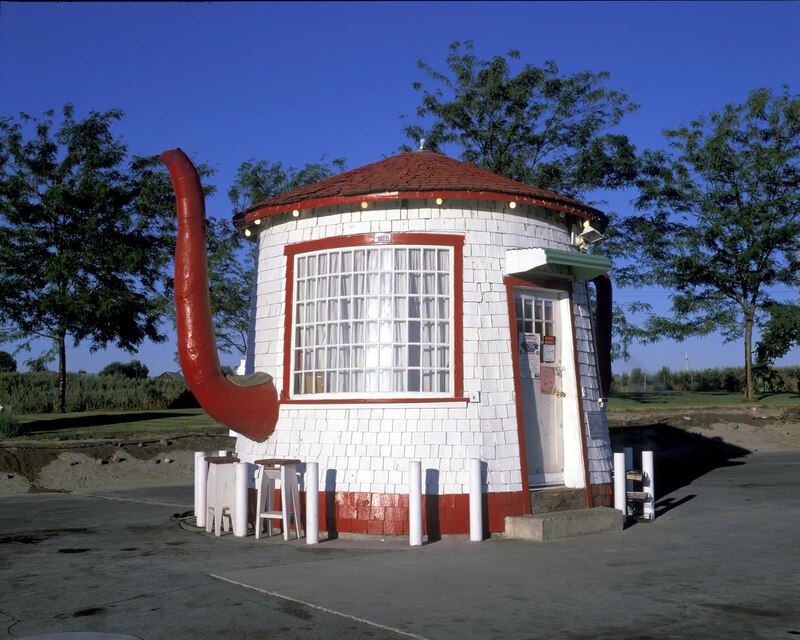 Yakima Valley Museum is nearby with a 1930s Style Soda Fountain, a great place for ice cream after your swim . The hours of Franklin Pool recreation swim are Monday through Friday from 12:30-4:30p.m., 7:15-9pm. Monday, Wednesday, Thursday from 5-7p.m. The fee for youths are $2.00 and adults $3.75. Lions Pool is an enclosed pool at 509 West Pine Street. Recreational swim sessions are Monday through Friday 1:30-3:30 and 3:15-4:45p.m. Special Funky Friday Night Swim from 7pm to 8:30 for special rate of .50 for youth and $1.00 for adult, enjoy the 80's music. Water Play Grounds in the city of Yakima are free at Miller Park, North 4th Street and "E" Street; Martin Luther King Park, South 8th Street and Beech. Yakima YMCA Indoor Heated Pool features recreational swims open to children of all ages and their families to come and enjoy the swimming fun. Parents do not have to accompany their children, but are encouraged to swim and play together at the pool. The evening and weekend sessions also include the use of a slide. Selah Pool at Wixson Park is open 1 to 4 p.m. and 5:45 to 8:45 p.m, seven days a week. Admission is $2.00 for children 17 and under, $3.00 for adults and $8.00 for families. The pool in the city of Naches on Hwy. 12 at Applewood Park offers open June 10-August 26; swim hours daily from 1-3 p.m., 3:30-5:30 p.m., plus 6:15-8 p.m. on Friday, Saturday and Sunday. Admission: $1.50 for district residents, $2.00 for non district. While in Naches stop in at Thompson Farm Market for a smoothie! The City of Toppenish, well known for its 70 western themed murals and Yakama Nation features opportunities for sightseeing and swimming. The public pool on Asotin Avenue is open June10-August 26 from 6:30 a.m. to 11 p.m. during the week, with various swimming activities. Saturday and Sunday the pool is open from 1 to 5 p.m. Admission is $3.00 for adults and $2.00 for children under 12. Sunnyside pool open June 11 - September 5; swim hours are daily ,1:00 to 3:00 p.m., 3:15-5:15p.m. Family swim hours daily, 5:30-7:30 p.m. Admission is $2 .00 for children 4-7, $3.00 for 8 and older. Sunnyside Darigold Dairy Fair off exit 68 of I-82 East is a great place to stop before or after your swim for a deli sandwich and Ice cream on a hot day. Grandview Municipal pool is open Monday - Saturday June 17-August 11. The abundant agricultural region of the Yakima Valley consists of many communities dotted with family farms. This close knit agricultural based community offers a number of unique opportunities to teach children about farm fresh fruit and produce, experience picking fresh fruit off the trees, celebrate the harvest and learn about farm animals. Thompson's Farm is a family owned farm open for u-pick fruit during the season. walk through the orchards and pick you own farm fresh fruit off the trees. It doesn't get any better than this. Bill's Berry Farm in Grandview, WA features a number of free activities which are always available such as children's play area, country tire swing, and a petting zoo. On festival days there is a barnyard train, Pumpkin Chunkin (fall), and squeeze your own cider activities (fall). These festivals are; The Cherry Festival June 25, Blueberry Daze Festival July 2, Antiques on the Farm July 1-2, Apple and Pumpkin Festival and corn Maze Saturdays September 17-October 22. At the Silbury Hill Alpaca Farm pet an alpaca, learn about animal care and agriculture. Bring a picnic an soak in the farm atmosphere; Grand Opening Weekend is June 25-26. Celebrate The peach harvest by picking your own peaches on August 27-28 and September 3-4. National Alpaca Days, September 24-25. Come and see the quality alpaca products available. Selah Ridge Lavender Farm in Selah, WA - Join them in the Lavender Harvest Days the second weekend in July as you and your children gather your own u-cut lavender, listen to live music and check out the artisan craft vendors, and lavender products. Bella Terra Gardens in Zillah WA. Bring the kids to see the goats, Babydoll sheep and chickens. Pick strawberries, black berries, raspberries and blueberries in season. Visit the Heritage barn filled with the wares of local craftspeople and artists. Bring a picnic lunch and enjoy the fresh country air and fun on the farm. While you are in the valley, visit the Central Washington Agriculture Museum, the largest in the state, where you can discover how early settlers lived and worked the land to produce their food and grow their crops for an living. The Yakima Valley blog articles feature members of the Yakima Valley Visitors and Convention Bureau. If you would like to receive information regarding membership, Click here, or to request a membership application, please contact Michele Hopkins at (509) 575-3010. One of Central Washington’s great trail experience for mountain bikers is the high desert Uplands area of the Cowiche Canyon Conservancy. Think 360 degree view of the valley and surrounding hills, a short drive from downtown Yakima. Ride the trail through sage brush, grasses and wildflower covered hills. Directions From Downtown Yakima: West on Summitview to 40th Ave. Turn right on 40th Ave. to the 2nd light. Turn left on Englewood travel about 3 miles to 80th Ave. Turn right on 80th go about 1/4 mile to West Scenic Drive turn left about 1/2 mile to Scenic Drive parking area. Relax after your ride with a pint at the Sports Center Restaurant and Lounge in Downtown Yakima. If you get there for happy hour enjoy half price appetizers and daily specials Monday through Friday 3-6pm. There are many dining choices in Yakima as well as hotels and bed and breakfasts to make your stay in the Yakima Valley a memorable one. You're Invited to "Come Watch the Paint Dry" on Toppenish's Newest Mural! Who could resist and invitation like that?! 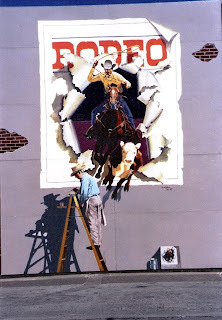 The Toppenish Mural Society's Mural in a Day is a two day event, June 3th and 4th, 2011, featuring the painting of a western themed mural. Each year one artists work is chosen for the mural and a dozen other artists come help paint the mural in one day. While in Toppenish, enjoy live music, steak feed 5pm Friday, Craft Vendors, Mural in a Day, horse drawn tours of over 70 Murals and more. Past mural artists prints and paintings can be viewed at the Toppenish Visitor Center, just look for the tallest flag pole in Washington State. In the picture above, the mural is being painted on the Toppenish Visitor Center. To pick up the 2011 Yakima Valley Visitor Guide new comprehensive map to all the murals in Toppenish, stop at the Yakima Valley Visitor Information Center off exit 33a I-82E. While in Toppenish Take time to visit the Yakima Valley Rail & Steam Museum, in the restored Toppenish train depot. The American Hop Museum, the only one in America, is the place to learn about the Yakima Valley Hop production and history. The Yakima Valley produces over 75% of the hops sold in the world. See Yakama Nation Native American heritage at the Yakama Nation Museum and Cultural Heritage Center. If you are interesting in nature, view a stunning number of waterfowl at the Toppenish Wildlife Refuge. So much to do and learn while the paint dries! Iron Angels Club Car Show 8am-4pm. 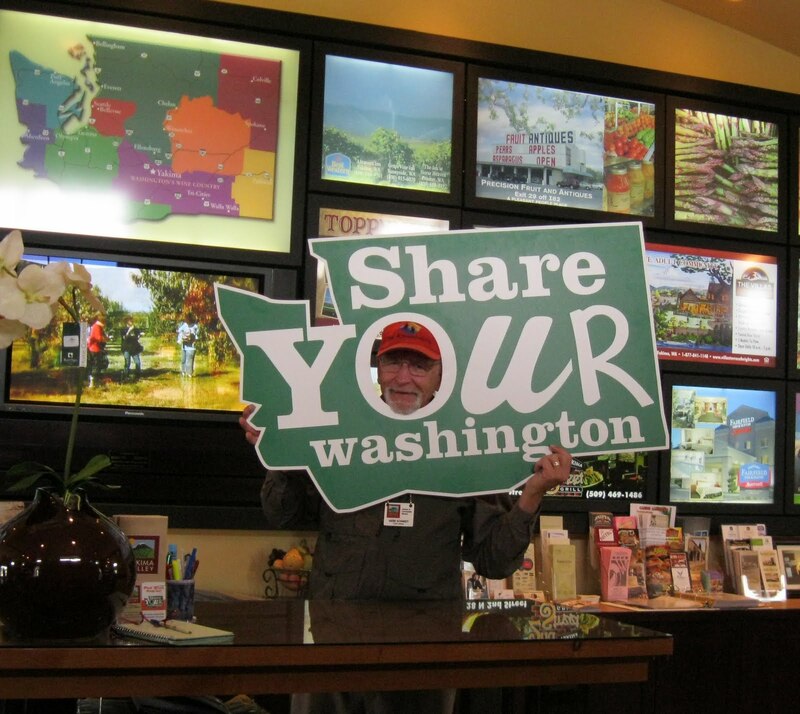 You may have heard about the Share Your Washington campaign to attract visitors to the state, and have wondered, ‘where can I get my picture with that sign’? Come to the sunny side of the state in the Yakima Valley and we’ll set you up! Stop in at the Yakima Visitors Information Center just off I-82 in Yakima (visit website for directions and hours of operation). The friendly staff there will help you pose with the sign in our beautiful Tuscan themed visitors center. 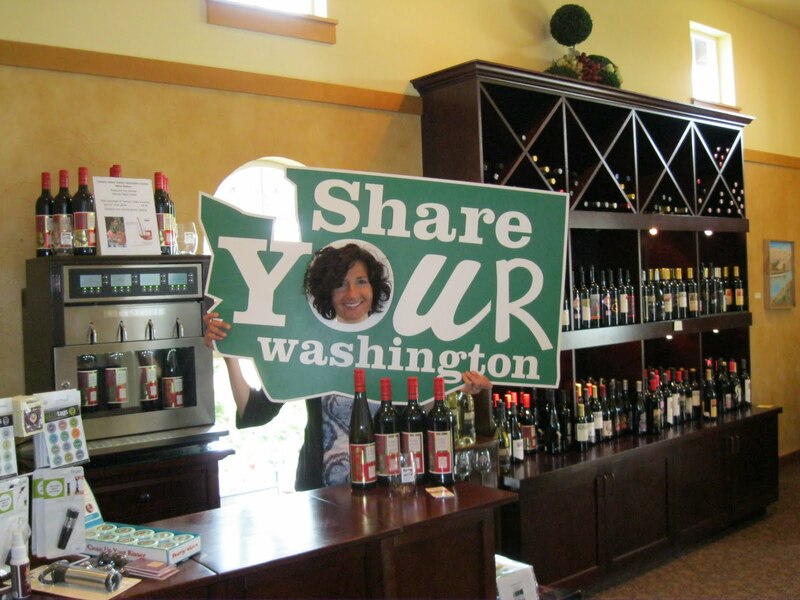 The Share Your Washington promotion encourages everyone to invite their loved ones to visit Washington, while also entering into a sweepstakes for the chance to win airfare on Alaska Airlines. Entering is simple. Visit ShareYourWashington.com to send electronic postcards to friends outside the state, which automatically enters the sender into the sweepstakes. The Share Your Wa shington postcard will also include special deals and discounts for the visitor, such as chances to win a local getaway, shopping discounts or special rates at local hotels. One of the postcards is of wine vineyards in the Yakima Valley. 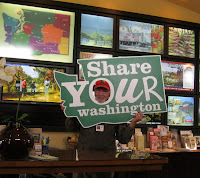 Take the fun a step further and post your Share Your Washington pictures to the official Facebook page and be sure to follow them on Twitter @shareyourwa. Help create new jobs and build our local economies. Invite your friends and family to visit. The Yakima Valley consists of a number of towns, from the larger cities of Yakima and Prosser to the smaller towns of Union Gap, Toppenish, Zillah, Selah, Wapato, Sunnyside, Granger, Grandview and Benton City. Each of these cities and country towns is unique. Zillah, WA would still be arid desert land and not the thriving agricultural community it is today without the Sunnyside Irrigation Project. This project, started by Walter Granger in the 1890's, allowed water to be taken from the Yakima River and distributed to the land using canals, which are still in use today. Walter Granger and Thomas Oakes of the Northern Pacific Railroad chose the town site, which was named after Oakes daughter, Zillah. The town site was selected in 1892 and the town was incorporated in 1911. Historical information will be on display in the Zillah Civic Center during Community Days. 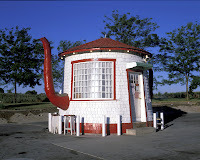 A site of historical interest to visit is the Zillah Teapot Gas Station built in 1922. Today the city of Zillah is in the heart of Washington Wine Country the the Yakima Valley. Growing vast acres in vineyards in the Rattlesnake Hills AVA.The wineries are surrounded by vineyards and orchards and range from small boutique to larger estate wineries, each with owners tending the tasting bars. The views of Mt. Adams across the valley floor are spectacular. This is the place where one can relax with a true wine country experience. Zillah, celebrates its Community Days during mid-May. In an area known for its orchards, vineyards and the Rattlesnake Hills AVA wineries, you can expect a parade, talent show, fireworks display, sack races, face painting, egg toss, horseshoe toss, and more. Zillah's Harvest Celebration, Not Just a Farmers Market, occurs annually the Saturday after Labor Day in downtown Zillah. Forty to sixty vendors sell local produce, wood furniture, arts and crafts, food, and many unique items. There is live entertainment all day long which varies from bands to dance groups.